There are many things that group our minds when we talk about the investment banking. A managed investment banking solutions platform helps in the offering the banks a greater scope of investment options. They are needed with the help of institutional-caliber tools which is actually compared with the help of wire houses, and also independent broker-dealers. The only intent is to enable the institutions to gather the increasing services to all the clients along with the help of additional staff and also system infrastructure. Asset management investment outsourcing helps in not only securing your future but also helps in wealth management and this is the biggest advantage of asset management. It helps in providing outsourced middle-office functions. There are many management solutions which help in the improving margins, pending of more time with the clients and also becoming more competitive. But even today, when we talk about the investment banking, there are various challenging prepositions which haunt each and every individual. Thus, to avoid this, have a glance at the following article that will draw your attention and will solve all your puzzles about the risks that are related to the investment outcomes. To improve the investment outcomes, the different strategies in banking software solutions mentioned here, help you get the exact tactics of implementation. For infusing of the business changes, there is a business process and there is an interaction. In most cases, the organizations have developed a company-wide culture of innovation. The development of the curiosity-driven approach is an experience-inspired workforce that requires a methodical approach. In cases, you require an analytics-driven culture that requires employees who are well passionate about their work. In order to drive maximum value, organizations should engineer analytics-driven business practices and policies. There is descriptive analytics which can actually help employees understand what has actually happened. There are employees who need to apply analytical models in order to derive the insights of the human decisions. • Enhance information credibility: Integration of the disparate data sources is an essential way of improving the investment outcomes. • Detect the fraud faster with the help of real-time integration: For all, the authorization to the systems and let the on-demand scoring for the purchases and also the non-monetary purchases. • Improving the behavior monitoring for the individuals: This helps in incrementally detecting of the frauds and reducing of the false positives. • Uncovering of the hidden relationships: In order to detect the subtle patterns of behavior, prioritize and predict the future risks by using of the advanced analytics. 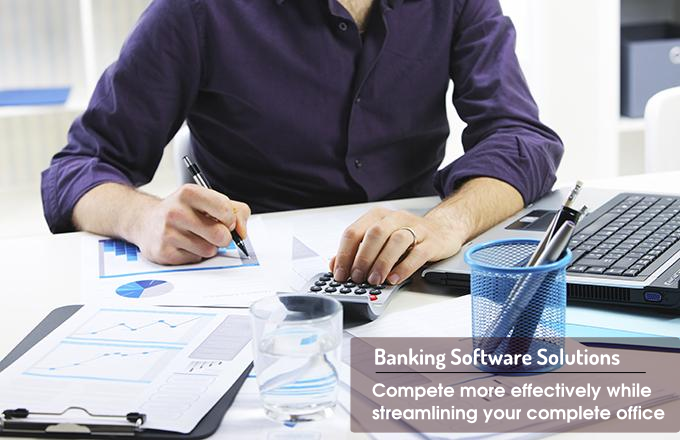 Thus, the banking software solutions have provided the right solutions for all the problems that haunt an individual.